The other day, I was asked a question by a golfer who was thinking about taking a few golf lessons. They certainly weren’t the first person to ever ask me that and my simple answer was. Improvement to your golf in some way. To me, being able to assist an improvement to the golf game of the golfer in front of me in some way – is the only purpose of teaching golf, while the golfer is committing time, effort and money – with I assume, a similar expectation of improvement. Otherwise, why would they bother to turn up? But this is not what most golfers actually expect because, if they tell other golfers that they are going for a golf lesson – those other golfers will almost always offer the same advice – in their ‘wisest’ voice of course. “Oh, you won’t be playing well for a while after that”. By the way, the golfers who tell you that the loudest have either – probably have never had a golf lesson in their life or if they did, very little effort was put in by them afterwards to attain any improvement or they will tell you about the time ‘Uncle Joe’ had a lesson many years ago and he never played well again. We don’t know what went on with ‘Uncle Joe’ all those years ago. Possibly he went to someone who was taught in the old ‘this is the correct and only way to do things’ method of teaching golf…….but if you use that same logic – if Uncle Joe had got a bad haircut – then he probably never had a haircut again. Whereas, the rest of us would just go find a better barber! So, put aside any preconceived ideas and start with an open mind, as the vast majority of golf teachers or coaches you will meet simply exude “GOLF”. A good one will have a passion and energy for the game that will have you walking away afterwards, inspired by the possibilities that have been opened up for your golf and wanting to go back for more! A good one will challenge you to do the best that you can with what you have – there is no – ‘changing everything’ to the point where you can’t hit, there will simply be improvement gained by building on your current skills and past experiences. To illustrate – here is my basic philosophy on improving a golfer. Firstly, all golfers are physically and mentally different from each other – which means there is no one correct way to move the club or hit the ball – which means the challenge for the me is to find a way for the golfer to improve by working with what they already have. Not showing them what ‘tour player x does’ or making them try to conform to whatever the latest “correct theory’ is. This is the art of golf teaching. Like most other crafts, teaching golf can really only be learnt with thousands of hours of practical experience – combined with exceptional communication skills from the teacher. Most golfers – do not play to their true potential and in fact – too many give up soon after starting or become frustrated golfers over a period of years simply due to the information they are given (or more correctly the lack of good information) and the way they are ‘helped’ when they start. It’s normally not a lack of ability that the golfer has. It’s a lack of good information. So, what can a golfer expect from a golf lesson? 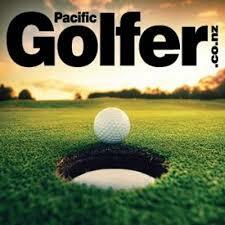 To be inspired and given good information about golf. Information that is easy to understand and that helps them use their current physical abilities to improve their golf immediately. So, will a golfer play worse after a lesson? No, of course not, otherwise why would you bother?